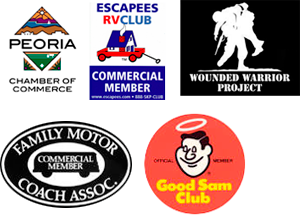 Fix My RV is a Peoria, Scottsdale, and Phoenix RV repair company that focuses in detail and quality. We want your next RV vacation to be the best vacation yet. From gas furnaces to propane refrigerators to AquaHot heating systems, Fix My RV has you covered. 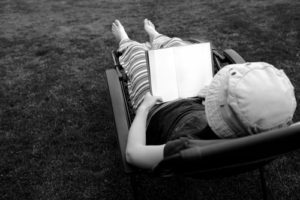 You shouldn’t be checking your plumbing system while on vacation, you should be reclining under your awning with a good book and a glass of wine. We enjoy a good wine as much as the next person, so here are some of our recommendations. We really enjoyed “Unbroken: A World War II Story of Survival, Resilience, and Redemption” by Laura Hillenbrand. The renowned author of “Seabiscuit” takes on the story of Louis Zamperini, Olympic athlete turned Army Air Force bombardier. The story spans Louis’ childhood, Olympic discovery, bomber plane crash, and the miles of sea and road that stretched ahead of him. Scoring a stunning 4.5 on Goodreads, we highly recommend this book for any history buffs out there. Our next big favorite, also scoring a high 4.29 on Goodreads, is Stephen King’s “11/22/63.” We know what you’re thinking – “Stephen King books aren’t my thing.” Trust us when we say this one is different. A High School English teacher from Lisbon Falls, Maine is sent back in time to complete the mission his friend has become obsessed with, preventing the Kennedy Assassination. A trip back in time and a chillingly suspenseful story, this book will have you turning pages your whole vacation. Whether these books or a different read that you take on vacation, you deserve to dedicate your time to something you truly enjoy doing rather than checking your RV for bugs. Before you head out, stop by Phoenix RV repair company, Fix My RV to make sure your vehicle is in top shape. Call us today to see how we can help!